The Yard Artist offers free estimates. Whether you know exactly what you want, or need some ideas and guidance, Greg Wirth, owner of The Yard Artist, will be happy to meet with you and provide a free estimate for your project. The Yard Artist also provides design and consulting services at reasonable hourly rates or on a fixed-price basis. Greg provides personal services that include on-site consultations, conceptual designs, and detailed plans. Greg can also accompany you to nurseries and stone yards to help you select the exact plants and hardscaping materials that you want for your project. 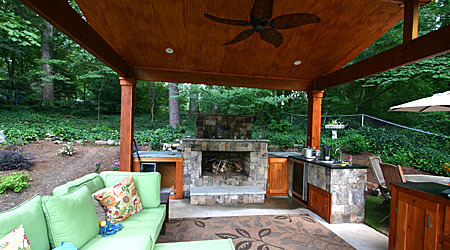 Contact Greg at The Yard Artist today to request a free estimate or to discuss design and consulting services. strict warning: Non-static method view::load() should not be called statically in /usr/home/firemtn/public_html/drupal_yard-artist/sites/all/modules/views/views.module on line 879.
strict warning: Declaration of views_handler_filter::options_validate() should be compatible with views_handler::options_validate($form, &$form_state) in /usr/home/firemtn/public_html/drupal_yard-artist/sites/all/modules/views/handlers/views_handler_filter.inc on line 589.
strict warning: Declaration of views_handler_filter::options_submit() should be compatible with views_handler::options_submit($form, &$form_state) in /usr/home/firemtn/public_html/drupal_yard-artist/sites/all/modules/views/handlers/views_handler_filter.inc on line 589.
strict warning: Declaration of views_plugin_row::options_validate() should be compatible with views_plugin::options_validate(&$form, &$form_state) in /usr/home/firemtn/public_html/drupal_yard-artist/sites/all/modules/views/plugins/views_plugin_row.inc on line 135.
strict warning: Declaration of views_plugin_row::options_submit() should be compatible with views_plugin::options_submit(&$form, &$form_state) in /usr/home/firemtn/public_html/drupal_yard-artist/sites/all/modules/views/plugins/views_plugin_row.inc on line 135.
strict warning: Declaration of views_handler_filter_boolean_operator::value_validate() should be compatible with views_handler_filter::value_validate($form, &$form_state) in /usr/home/firemtn/public_html/drupal_yard-artist/sites/all/modules/views/handlers/views_handler_filter_boolean_operator.inc on line 149. 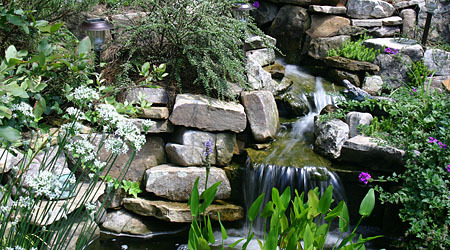 The Yard Artist, LLC, is a full-service Atlanta landscape design and installation company. The Yard Artist is owned and operated by Greg Wirth, who has nearly 20 years of experience in landscape and hardscape design and installation. 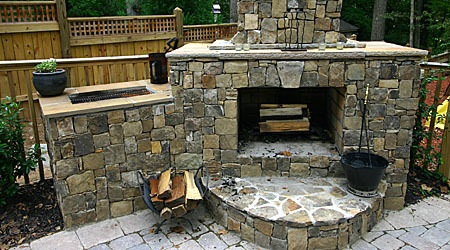 Greg specializes in stonework, water features, and outdoor living spaces. 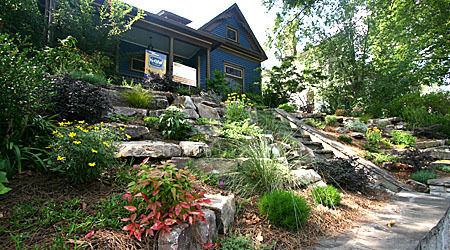 The Yard Artist is fully licensed and insured, and has many satisfied clients in most of Atlanta's intown neighborhoods. Click the About Us link for more information. The Yard Artist, LLC has been awarded the prestigious 2011 Angie’s List Super Service Award, an honor bestowed annually on approximately 5 percent of all the companies rated on the nation’s leading provider of consumer reviews on local service companies. This is the second year in a row that The Yard Artist has been recognized with this award. I used The Yard Artist to do a major clearing job. He was excellent and I was very pleased. He had a wonderful crew and they worked really hard. My husband and I just can't believe how much value we got. We were incredibly pleased with the quality and quantity of the work. With his overall approach to my yard, he had a lot more common sense and was a lot more budget-minded than other companies. I felt that he was a smarter landscape designer. They were very neat and didn't leave a mess. They did everything on the list and there was no hassle. I plan to hire them in the future. The walk looks terrific and the results exceeded my expectations. I plan to use this company again in the future. Greg was extremely professional and provided excellent suggestions to improve the yard. When faced with choices of expensive and non-expensive repairs, he told us the options. When we pushed him for his suggestion, he recommended the cheaper route, by our needs. In other words, he listened to us. Fantastic, Greg fit me in on a weekend day (during his busy season) and did the work personally to do so. He showed up ready to work and did not stop until he was satisfied that I was satisfied. Greg is a bit of a no nonsense guy, as I said,he showed ready to go and did not stop. I would hire him again and recommend him in an instant. I was very impressed. He was very responsive and he followed up when I had some issues with some of the plants. He was very professional. I would use him again in the future. He was very punctual, the quote was reasonable and the gentleman who came out spent some time in the yard letting me know what he was planning to do. He said he would send me a quote within 48 hours and I had it well before 48 hours was up. I would like to have him do the work on our yard, he came up with a really good plan. They did a really good job and they came in on budget. They did everything they said that they would do. The grass looks great. It was definitely a positive experience there with them. I will use their services again in the future. Looks great. Met Greg in July, scheduled the work to be done in August, best competive quote and listened to ideas I had and willing to do the work I requested. The final bill was as quoted, even had some extra work done during the process. Would highly recommend if you need some landscaping done. I was given an estimate that was right on target for the finished work. Greg worked very hard to make sure I was happy with the finished product and I must say it exceeds my expectations. 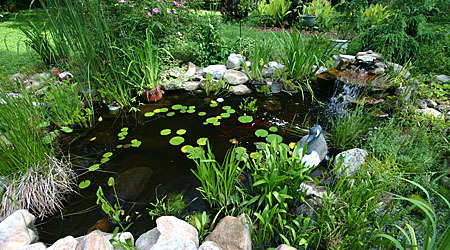 It is an in-ground pond with stacked stone exterior. It is very natural looking and I have had many compliments on it. Greg did a great job. I highly recommend them!!!! Thanks Yard Artist. Greg is very easy to work with. We had some problems with the intended finished look, but when we discussed with Greg, he came up with an excellent solution that made the end product look great. Greg did a great job designing the backyard and front yard of my house. He listened to my major requirements of low maintenance, colorful and screening plants. They were very professional and delivered a high quality installation. It was a pleasure working with them! Extremely good work. Yard looks A+. They did an awesome job with the path. Overall, we were very impressed at the professionalism, friendliness, and graciousness shown by Greg. Greg did not display any impatience or penny-pinching, in fact was very generous with his time. We are really grateful that he did such a good job for us. Estimate was considerably less than a comparable one that we elicited. Work went smoothly and was finished in about three days. Outstanding! He resodded and cleaned up our yard after a major geothermal heat pump installation. Did the entire job in two days and did a very high quality and very nice looking redesign. Highly recommended. Excellent work. Greg did the work about a week after he first came out to give me an estimate. The work was done in about 6 hours. The 3-man team was efficient and personable. The walkway looks great! We are extremely pleased with the work. The path looks great, and we can now effectively use our irrigation system. Greg, and the two workers who assisted him, were very courteous and professional. They cleaned up after completing their work. Greg also checked in with us the next day, when he was replacing a sprinkler head. We would definitely use the Yard Artist again. Greg did a fantastic job. He listened to our ideas and came up with a great plan. His team was professional and efficient. The result is stunning. Greg is honest and very reasonably priced. I very highly recommend him. Good communication. Willing to make suggestions to improve the project and control costs. Open to suggestions and modifications as the job progressed. Punctual, professional and cheerful. I will certainly call them again for more landscaping projects in the future. [Greg] made it very easy and helped us decide what to do. He had great ideas and kept it simple, and he designed his plan to our budget. We couldn't be happier with the outcome, it looks like we spent 2-3x what we actually did. He is also a pleasure to work with. Very trustworthy, and follows through on his commitments. He did everything he said he would do (and more), when he said he would do it. And, our dog loved him! What more could you ask for? I would highly recommend Greg!! I was given an estimate that was right on target for the finished work. Greg worked very hard to make sure I was happy with the finished product and I must say it succeeds my expectations. It is very natural looking and I have had many compliments on it.